The bullet that almost killed Pope John Paul II thirty-two years ago today is mounted in this crown. Three children saw something that changed the world. The year was 1917. It took place in Portugal on May 13th at 5PM. Lucia Santos and her cousins Jacinta and Francisco Marto were stopped in their tracks by the mystical appearance of a beautiful woman. The woman appeared to them again on June 13th. And again on July 13th. Word was getting out about the mysterious woman, and thousands of people began to flock to the area. The communist authorities attempted to stop all of this nonsense by jailing the children on August 13th. But the Woman appreared to them instead on August 19th upon their release from jail. The children claimed “the Lady,” as they called her, entrusted them with three secrets. The first involved a vision of Hell. The second gave instructions on how to save people from Hell. The third remained a secret until the year 2000. The day was May 13th. 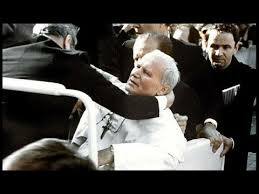 Pope John Paul II made his way through St. Peter Square in an open air vehicle. A man approached the pontiff, raised a gun and fired at point blank range. Five, maybe six shots were heard. The Pope was hit. His internal injuries were severe. He was bleeding internally. In fact, he lost most of his blood. He was near death. In fact, he should have died. It was a miracle he lived. Upon gaining consciousness, the Pope recalled the significance of the date and time, 64 years to the second that the Lady had appreared to those three children in Fatima, Portugal. And he thought about the significance of the yet unrevealed “3rd secret.” What was the secret? That a “Bishop dressed in white” would be shot and killed. But John Paul II lived. He credited the Lady with deflecting the bullet just enough to spare his life. Today is the 35th anniversary of the assassination attempt on Pope John Paul II. I marvel at the events of 1981 and contrast them with the events of 1968. I was in 9th grade when Martin Luther King was shot and killed in Memphis. And then two short months later, Bobby Kennedy was shot and killed. It seemed as if our country was falling apart. 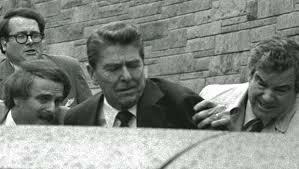 In 1981, I was married and just a week away from becoming a father for the first time when a gunman shot President Ronald Reagan. The President almost died. By all accounts, he should have died. His injuries were grave. Six weeks later, Pope John Paul II was shot and almost died. Two men with the potential to change the world were shot and died in 1968. Two men with the potential to change the world were shot and lived in 1981. Why did events go so differently in 1981? Was it divine intervention? Did this mysterious Lady from Fatima somehow intercede in a supernatural way to allow President Reagan and Pope John Paul II to fulfill their destiny, to meet and join forces to defeat communism? The Pope was presented with the bullet doctors removed from his body. He held it in his hand, turned it and studied it from every direction. What did he do with it? 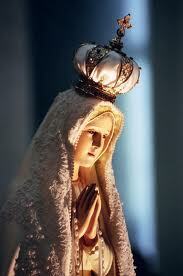 He had it mounted in the crown of the statue of the Lady of Fatima, the Blessed Mother of Christ. The Pope was devoted to the Blessed Mother. He asked for her prayers of intercession daily. I juxtapose the events of 1917, 1968, and 1981 as one of life’s many mysteries. Your timing is better than you realize, Tom. Just learned today that my prostate surgery will be on June 13th— not only one of the anniversaries of Fatima, but also the feast day of my patron saint, San Antonio of Padua. I’m still apprehensive, but I feel a calming force. I’ve been through it myself, Tony. It’s not as bad as you think. But my prayers are with you. Be not afraid. Me, too, it is fascinating … and revelatory.